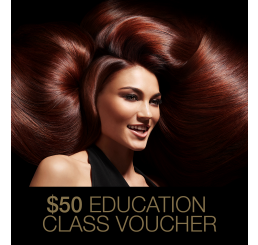 $50 CAD voucher to be used towards a Joico Canada Education class of your choice. Please consult with your Distributor Sales Consultant and/or Joico Educator for details. 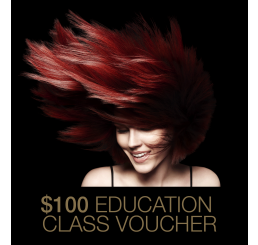 $100 CAD voucher to be used towards a Joico Canada Education class of your choice. Please consult with your Distributor Sales Consultant and/or Joico Educator for details. $50 CAD voucher to be used towards travel to a Joico Education event of your choice. Please consult with your Distributor Sales Consultant and/or Joico Educator for details. 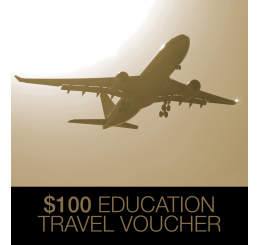 $100 CAD voucher to be used towards travel to a Joico Education event of your choice. Please consult with your Distributor Sales Consultant and/or Joico Educator for details.